In response to issues identified by external researchers, Intel has performed an in-depth comprehensive security review of its Intel® Management Engine (ME), Intel® Trusted Execution Engine (TXE), and Intel® Server Platform Services (SPS) with the objective of enhancing firmware resilience. As a result, Intel has identified several security vulnerabilities that could potentially place impacted platforms at risk. Systems using ME Firmware versions 11.0/11.5/11.6/11.7/11.10/11.20, SPS Firmware version 4.0, and TXE version 3.0 are impacted. ASRock and Intel highly recommend that all customers install updated firmware and Intel® Capability License Service on impacted platforms. 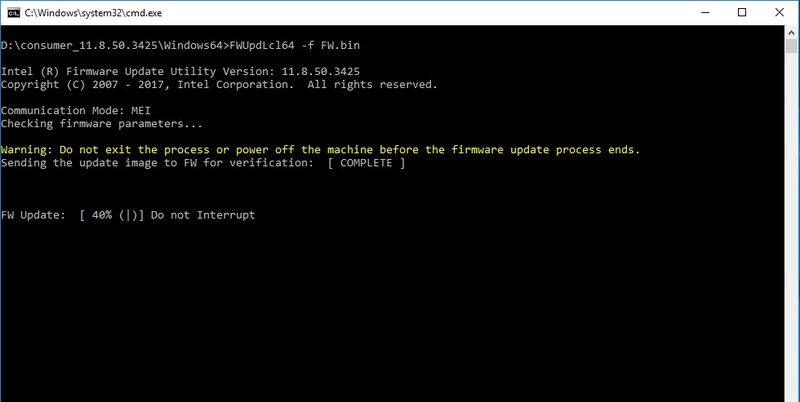 ASRock provides the BIOS for customers to update the ME firmware. ASRock provides the firmware package for customers to update the ME firmware. There are 2 kinds of ME packages. 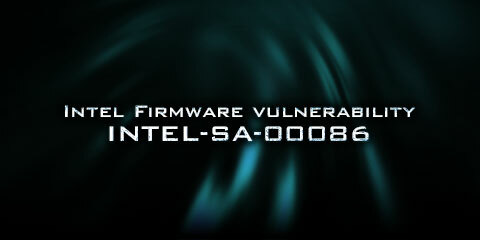 If your model is Intel 100/200 series but not in the following list, please download package ME1. If your model is Q170 series or in the following list, please download package ME2. Please follow the below steps to check the ME version of your motherboard. 1. Press "F2" key during POST to get into BIOS. 2. Select "Advanced" tab, "Chipset Configuration", it will show the current ME version. If the ME version is 11.8.50.3425 already, it does not need to update the ME. Step1: Please double-click UPDATEME64 to execute the program. Step2: The system will run the program. Step3: After finishing the update, the command prompt window will close automatically. Please restart the system and then the ME firmware update is completed. 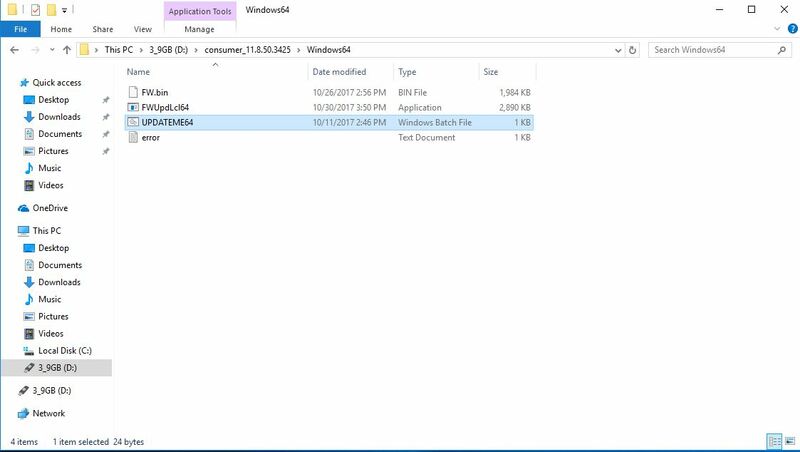 Copy the files of the DOS firmware package to the root of the USB drive. 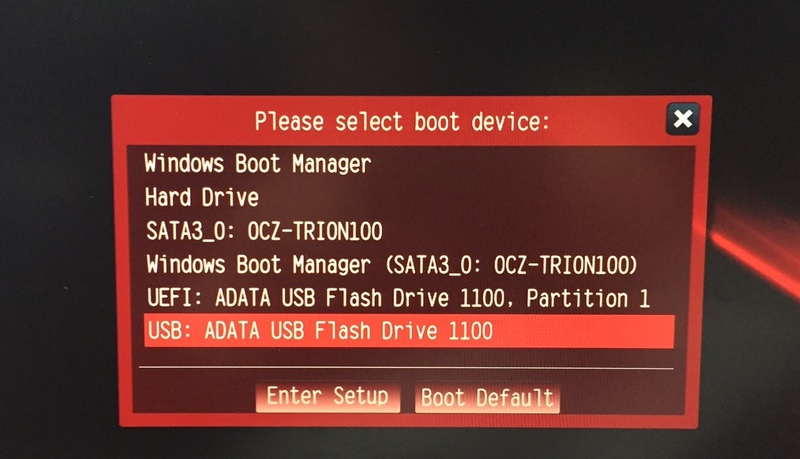 Step1: Please press [F11] during bootup to enter to the boot menu and boot from the USB drive. Step2: The system will enter DOS environment. Step3: At the command prompt please enter "updateme" to start the program. Step4: After the message showing the update is complete, please restart the system. Then the ME firmware update is completed. If the ME version is 11.8.50.3425 already, it will show the below error message when running the ME firmware update tool. Please don't worry about it.